Like almost every quilter I liked to play with fabric, yarn, thread, beads etc. as a little girl and I still do. As a kindergarten-teacher I could keep on playing. Now I work in a hobby/quilt shop two days a week. We also do quilt shows and fairs with the shop. 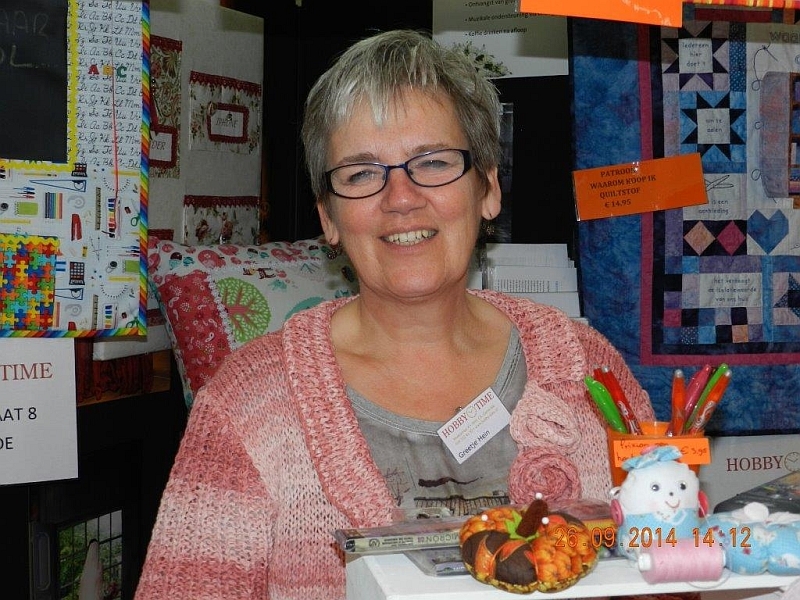 Besides that I teach in different quilt shops in the Netherlands. I like to design my own quilts using all different techniques – especially with bright colors. My favorite color is blue/purple and I use that in almost every quilt I make. A few years ago I started using new materials, and wish I could spend more time experimenting with them. Hopefully the FifteenbyFifteen group will “force” me to do that.